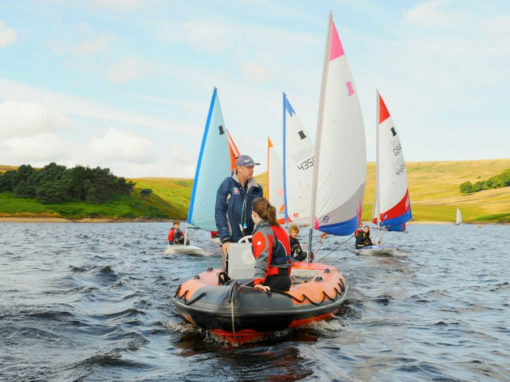 At Pennine Sailing Club we provide a wide range of sailing opportunities for young people, starting from those with no previous sailing experience right up to feeding talented young sailors into the RYA Zone Squad and National Junior Squad programme at the appropriate age. 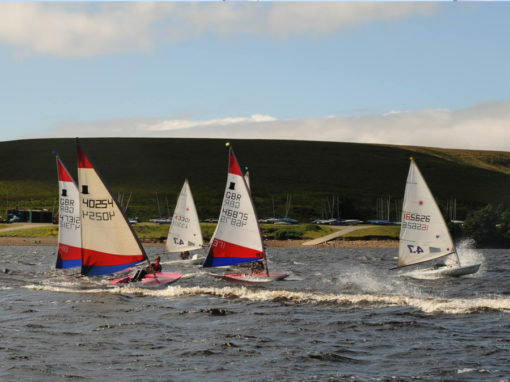 We also encourage youth sailors outside of these programmes, to develop their enjoyment and participation in sailing, whether they want to sail for fun, race at the club, compete at regional events or succeed at National, European or World Championships at Junior and Youth Level. 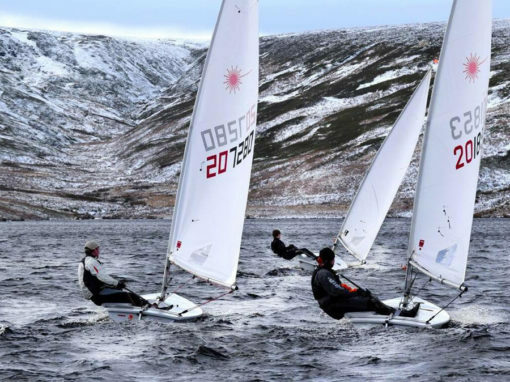 The club’s fleet of Optimist and Topper single-handed dinghies are available for hire as well as several double-handed dinghies for more experienced youth sailors. We also have some wetsuits and buoyancy aids available. Providing opportunities for youth dinghy sailors to develop their racing skills. The purpose of the Top Squad is to feed talented sailors into the RYA Zone Squad and National Junior Squad Programme at the appropriate age and to develop and encourage youth sailors outside of these programmes, to enable them to succeed at World, European & National Championships at Junior and Youth level. Pen9 Top Squad delivers a comprehensive range of coaching, training, off-water workshops and competition guidance throughout the year. Kids Club – Friday evening training tailored to a wide range of abilities from absolute beginner to advanced. In 2019 this will run from the 3rd of May until early August. Book now to secure a place for Kids Club 2019. The 2019 prices are £8 and there is a reduction of £4 if you use your own boat. We aim to arrive at 6.00 pm for a 6.15 pm start and on the water by 7.00 pm. Hot food is available to purchase when sailors come off the water. 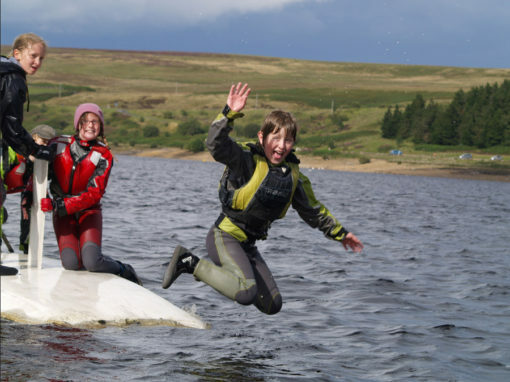 Kids Club coaches are all parents and volunteers and we rely on other parents to support Friday evening sessions, whether on shore helping to rig and launch boats, helping the coaches on the water or helping in the galley to prepare hot food. No previous sailing or catering experience is required as the friendly Kids Club team will be on hand to provide guidance and supervision. We require that a responsible parent/guardian from each family remains at the club during the session. 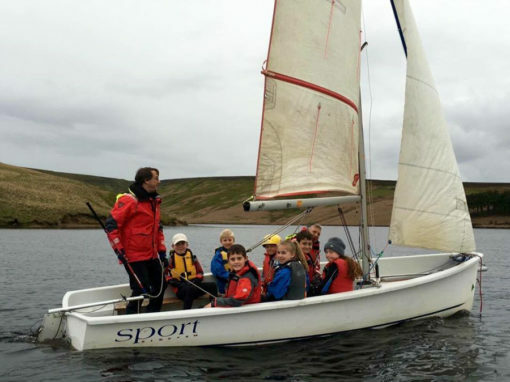 Kids Week – a full week (Mon-Fri) of sailing, coaching and fun activities. Participants will have the opportunity to achieve RYA Youth Sailing Scheme qualifications appropriate to their level of experience. The dates for 2019 have yet to be confirmed. As young sailors gain sufficient confidence and experience, they are encouraged to take part in the Club’s racing programme on Thursday evenings and Sundays. Additional land and water-based coaching sessions may also be arranged during the year. The Youth Sailing, Coaching and Racing programmes are for members only. Young adults over the age of 16 years join the club in their own right as Cadets. Those under the age of 16 will need to join the club with a parent/guardian also joining as either a social or sailing member. If the parent is a social member, then any youngster also pays a Cadet fee. If the parent joins as a full adult sailing member, then the membership of any under 16s is free (over 16s still Cadet membership) although the parent would then also be expected to help support the racing programme by taking their turn on safety and race cover. Please see the Membership Fees page for information on membership costs.